The ATM250DE dual-element instrument microphone features cardioid condenser and hypercardioid dynamic capsules combined in a single housing. Audio-Technica’s innovative use of two polar patterns is ideal for kick drum: the hypercardioid dynamic element focuses tightly on the aggressive attack of the beater, while the condenser captures the round tonalities of the shell. The elements are positioned in a perfect phase relationship, something practically impossible to achieve with two separate microphones. Includes a professional isolation clamp to provide secure mounting, versatile positioning and effective dampening of unwanted mechanical noise. 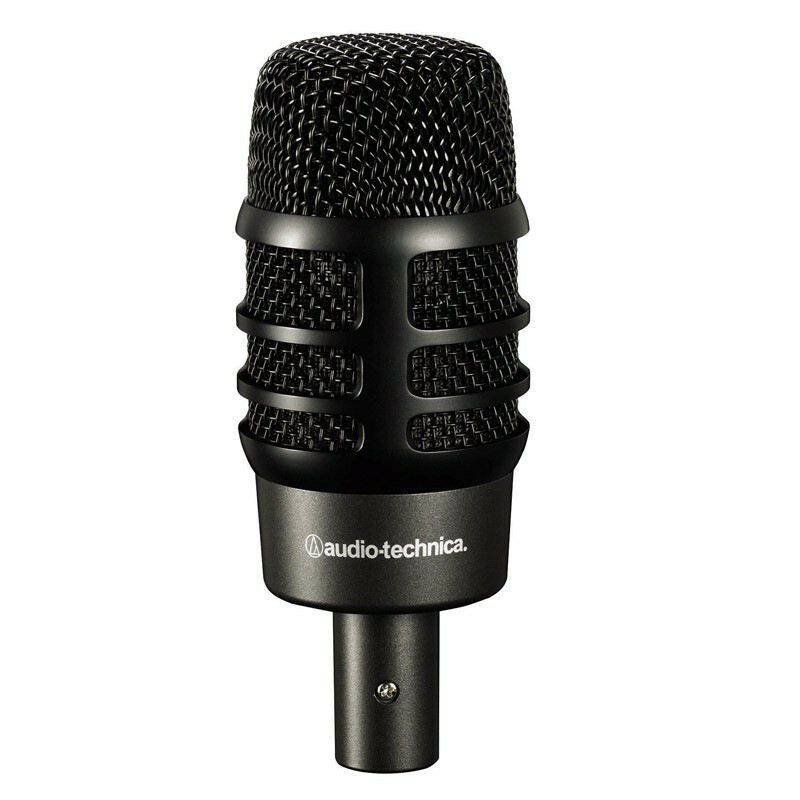 Support for Audio-Technica products can be found at the Audio-Technica Support Page.